The weird detail you may have missed in the Home Alone movie. You've probably never noticed this weird detail in almost every Home Alone scene. Well, here’s a fun festive one for you. 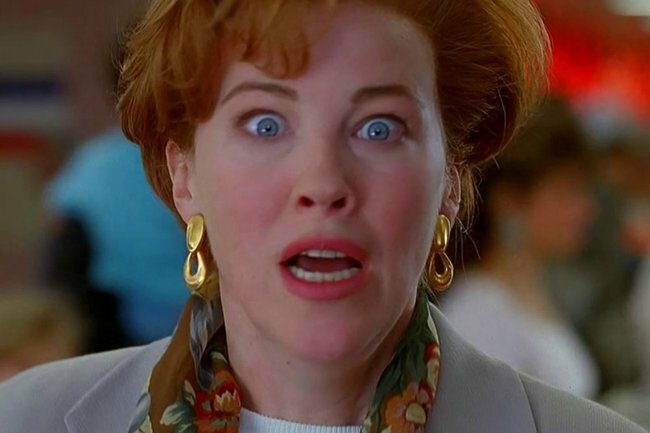 It seems we’ve all been missing a crucial detail in Home Alone, even though we’ve watched it approximately 496096 times. And it all has to do with… colour coordination. You see, a journalist named Claire Reilly was recently re-watching the movie when she noticed something odd in the background of almost every shot. The movie is set at Christmas time, so the McAllister’s house is covered in Christmas decorations and lights and a giant Christmas tree. But if you look closely, you’ll notice that underneath all that Christmas cheer, the whole house is actually decked out in red and green. The wallpaper is red. The walls are painted green. The pots in the kitchen are red. Even the phone is green. But WORST of all is the kitchen. Red pots, green tiles, red teapot, crimson floors, even a green rolling pin. Guys. We all go to the themed sections of IKEA and get ideas, but you’re not supposed to do it in real life. Home Alone: Great movie. Decorator’s nightmare. Understandably the thread has blown people’s Christmassy minds. It took 28 years for this to be noticed but now it can’t be unseen. Great. Can’t wait to watch Home Alone at some point this month. #TotalDistraction ???? Also they weren’t even going to be AT home for Christmas. Why be so extra about the whole thing? ???????????? I’m watching Home Alone now and cannot unsee all the Christmas themed decor. New drinking game: drink every time you see an innocuous item unnecessarily Christmased out. Did you notice this detail in the movie? Tell us in a comment below.